When I was in England last month, these shortbread treats were everywhere! 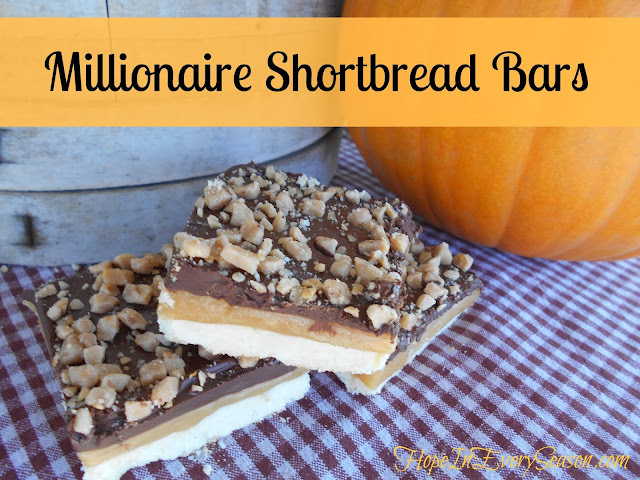 Read on to see how easy it is to whip them up! Imagine how many places in the US you can pick up a Snickers or Reese's PB Cups so easily---that's how prevalent these were in England. These and carrot cake--but that's another post. I came home and immediately began searching for them online. What were these delightful goodies called? 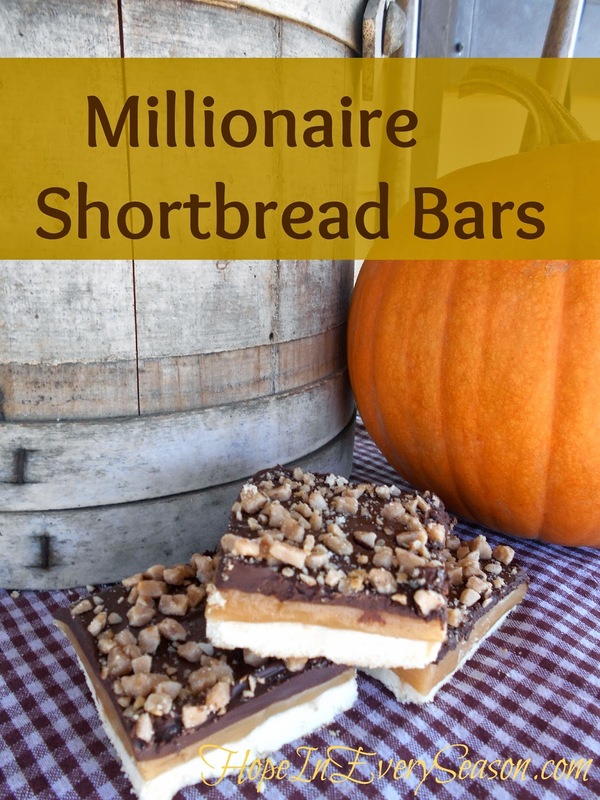 I asked a couple English friends on Facebook and it sounds like they're most well-known as Millionaire Bars. The toffee chips on top are my own little addition. Enjoy! Butter a 13x9 pan and set aside. Mix bottom layer ingredients until they form a ball. You may need to add a drop of water to get it to form---but I do mean a drop! Press mixture evenly into bottom of the pan. Bake at 325° for 30-40 minutes or until lightly browned. Let cool. While shortbread is cooling, melt butter in a pot on the stove. Then stir in sugar and corn syrup. Once it's combined, boil for 4 minutes without stirring. Then, remove from heat, add sweetened condensed milk, and return to heat. Boil, stirring constantly, until it reaches 234° on a candy thermometer (about 5 minutes on medium heat). Remove from heat, carefully stir in vanilla (it will steam at you! ), and pour on top of shortbread. Cool completely. When carmel layer is completely cool and set (about 3 hours), melt chocolate and pour on top. Immediately sprinkle on the toffee bits, chopped nuts, or whatever suits you. Let cool and enjoy! 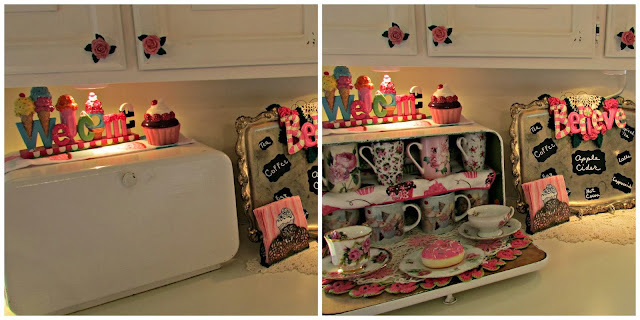 One of my favorite homemaking blogs is Penny's Vintage Home. She has so many neat ideas! I love her breadbox turned coffee bar. Super cute! I think this Treasure Map from The Grant Life is just the most awesome thing ever. If someone gifted me with a roller blind, this is exactly what I would do with it! Thanks for sharing, Kelley! Thanks for hosting! I am so going to make those bars!! 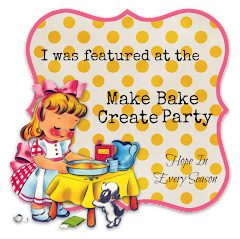 Thank you for hosting this fun party ladies! Hugs to all of you! Oh no. Those millionaire bars look just too good - and I am trying to watch my weight! Hahaha! Thank you for hosting, Sarah. I really appreciate it! Thanks for hosting! I discovered by accident how to actually cook fresh pumpkins and have them turn out non stringy, non watery and perfect for every pumpkin recipe at a FRACTION of the cost of canned. I've been sitting on that info for some time, now finally a way to share it! 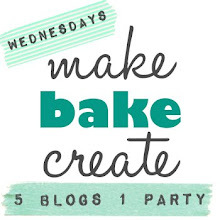 Sarah, so glad to see you over at Inspire Me Wednesday. These look delicious and very sweet. Will definitely have to pin this recipe. Thanks so much for sharing. I saw these on FB and they really do look decadent. Thanks for sharing at my HOME and enjoy your day. These bars look delicious. My husband loves toffee chips so will really love these. Those bars look, YUM! 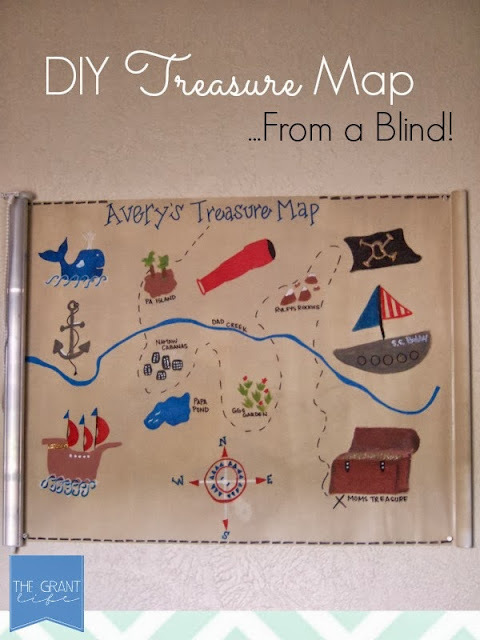 I have got to find a roller shade, that treasure map is too cute! My grandson just loves pirates.